According to local activists, more than five thousand people put their names on the evacuation list. The evacuation will also include fighters of Liwa Shuhada al Qaryatayn group that has struck a deal with the Syrian government. Two weeks ago, dozens of families have left Rukban due to dreadful living conditions and deteriorating security situation. According to local sources, the refugees headed westward and crossed over to the areas controlled by the Syrian government. In total, during last month 300 families left for Palmyra and Al Qaryatayn, while an equal number headed towards Al Mansoura. The refugees were able to enter the areas under the government control due to an agreement, brokered by local elders and the Russians, sources indicated. 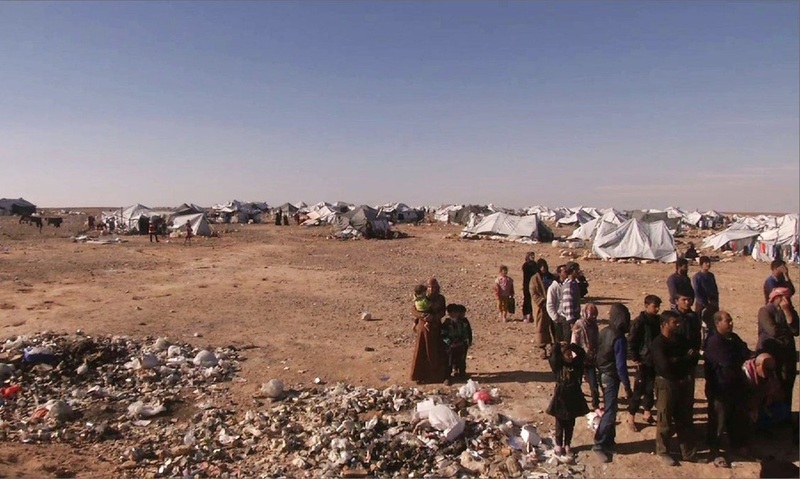 The inhabitants of the camp suffer from extremely poor sanitation, lack of public services and deteriorating security situation due to sporadic clashes between the armed opposition groups active in the area. Rukban camp is located in the immediate vicinity of Al Tanf base which hosts a number of military personnel of the US-led International Coalition in addition to the militants of the US-backed armed opposition factions.